My friend, Steven, and I. Sitting in my front yard surrounded by 4 Honolulu Police Officers and one off-duty cop. With 4 squad cars somehow crammed in our driveway, while their blue and red lights painted the neighborhood. Neighbors slowly passing by, rubbernecking, wondering what in the world is going on in that Korean Pastor’s house that 4 officers had to come. He was 17. He’d be okay if we got arrested. At least with the law. Couldn’t say what his mom would do to him. I was 18. This would go on my permanent record. That paled in comparison to the fear of what my parents would do to me if I were to be arrested. A part of me thought I’d be better off spending the night in the cell than back at home. Steven had just gotten a BB gun and we were being boys. We went around the neighborhood shooting anything and everything for target practice. And yes, birds were our favorite target. We didn’t have the guts (?) to shoot cats, dogs, or squirrels. Well, we couldn’t shoot squirrels, because there are no squirrels in Hawaii. But we have mongooses. Or mongeese. Or whatever. We also don’t have snakes in Hawaii. Apparently, the mongooses were brought centuries ago to take care of the rat problem on the island. Only, no one told the brilliant folks that rats were nocturnal and mongooses were not. So they now had a mongoose problem on top of the rat problem. Anyway, not just any birds. Pigeons. Pigeons were our target. Mainly, because they were dumb. Especially the dark grey ones. The ones that we saw on school campus all the time. The ones that we joked (but secretly prayed it wasn’t true) were the “chicken” in our chicken sandwich in the school cafeteria. Although Steven didn’t have to worry, because he went to a private school. I just assume private school lunches were far better than public school lunches. The grey pigeons would get hit by a BB, then just stay there wondering what hit them. All the other types of pigeons would fly away, instantly. Especially if they got hit. But not these grey ones. our pigeon body count was rising and I think we both started feeling guilty about the damage we were doing to the pigeon population. So we decided to go back to my place and shoot at inanimate objects. About 20-30 ft from my house was the yellow sign that let drivers know that children were present and playing around this street. At the moment, it didn’t register to us that we were in the middle of a neighborhood, surrounded by, yes, houses. C’mon. We were 17 and 18 year old boys. With a BB gun. To be rational in this situation would go against our very DNA. So we try to see who could hit that sign the most. We’d shoot and we’d know if we hit the sign by the sound of the impact. If there was no sound, we knew that we missed. Neither of us were good at hitting the sign. There were quite a few moments of silence followed by the shot. Again. It never registered that we were shooting the pellets into a neighborhood and we were shooting at a sign (and missing it) that told us that children were present. But we got bored of that game fast. Steven went to my back yard to shoot my punching bag. I stayed in the front yard waiting for my turn to shoot something, when I saw a guy walking very aggressively toward me. This guy was huge. Like, Dwayne the Rock Johnson huge. And he had something in his right hand. I couldn’t shake the feeling that he was walking towards me. As he got closer, I realized that in his right hand was a gun. And I froze. One out of fear. Two, hoping that he couldn’t see me if I didn’t move. He made a sharp right turn at my front yard, then made a bee line towards Steven. Then he made his way towards me. Wanting him to save the trouble and energy of throwing me down, I sat down as fast as I possibly could. Then he started yelling at us. He was an off duty cop. Was working out on his yard. Got hit with a couple of pellets. What if that was his daughter? You guys are lucky you didn’t hit my daughter. You’re going to get arrested. On and on, adding a little flavor with combination of swear words I didn’t think was possible. He demanded that I go into the house and get my phone. He used my phone to call back up. As our respective parents were making their way to our house from whatever they were doing, the rest of the cops showed up. They were impressed by the BB gun, as it looked like a real gun. Apparently. “… I could… I could make sure to hook you up…” I replied, hoping that he’ll let us off in exchange. (Our church would come once a month to make kimchi at our house). Never being in a situation like this, I didn’t know if this was the right time to try to plea for our freedom. With jars of kimchi. But before I could string words to make a pitch, my parents arrived. Then his mom. The officers and the parents went to discuss something on their own. Eventually, we were let off with a verbal warning. I didn’t get in too much trouble with my parents. I don’t think Steven got into too much trouble either. 2 weeks later, I showed up at the officer’s house with a jar of homemade kimchi. This story came to mind because I recently thought about purchasing a BB gun. 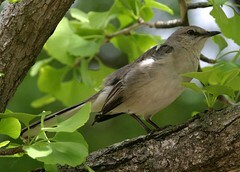 There’s a mockingbird in our neighborhood that insists on trying to find a mate from midnight to sunrise. He drives me crazy. Yes. I realize it’s highly illegal to harm birds thanks to the Migratory Bird Treaty of 1918. (although, pigeons aren’t protected… ) But, I don’t know how much longer I can take of his singing. (He also imitates car alarms). I’m secretly hoping that one of our neighbors will take initiative to do something. But most of our neighbors are… older. And probably not awake when the mockingbird starts serenading in the dark. This morning, as I was looking for some books in my office, I found not 1, but 2 of my copies of the book “To Kill a Mockingbird.” Why I have 2, I do not know.